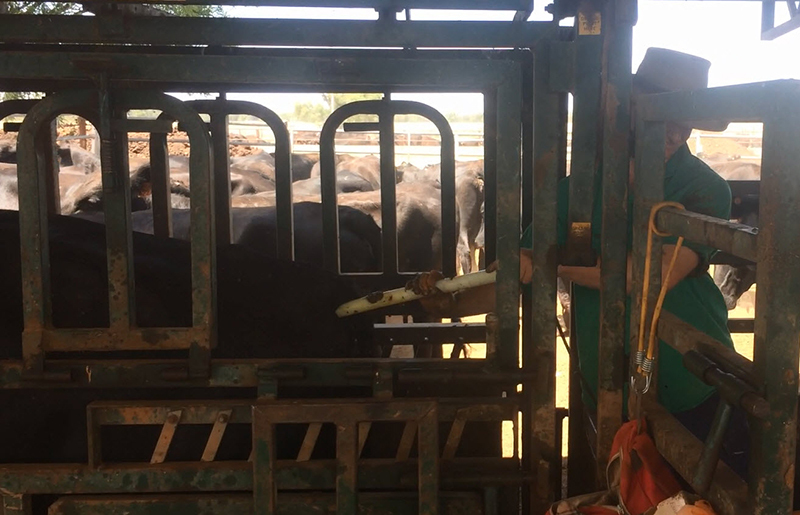 With pregnancy scanning recently completed across 6 co-operator herds, Cohort 7 of the Angus Sire Benchmarking Program (ASBP) is set to produce approximately 1,005 progeny with calving to commence in June 2017. As expected, there was a wide range in conception outcomes when comparing herds and mobs within herds. The highest conception rate for an individual co-operator herd was 67.1% with several others achieving rates close to 60%. Image: Pregnancy Scanning at ASBP co-operator herd Waitara, Trangie, NSW. Cohort 7 of the ASBP will produce approximately 1,005 calves.